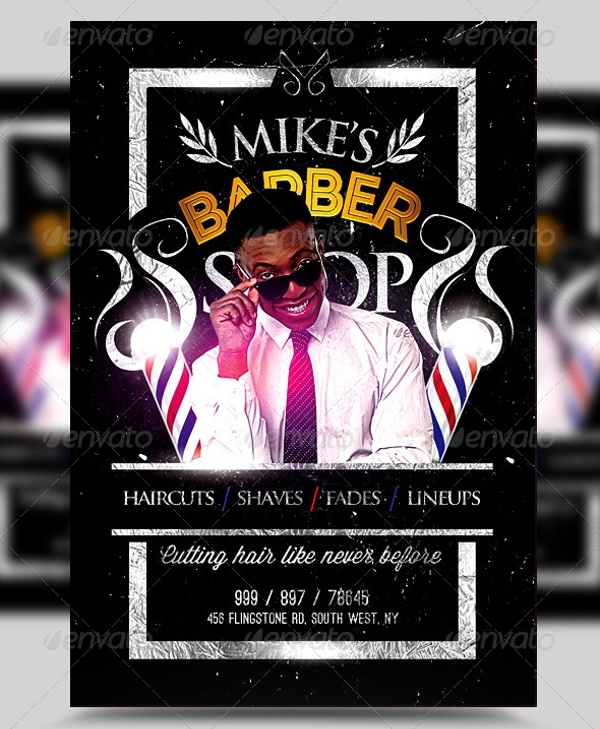 Flyers are something that has traditionally been the most favorite choice of any company or organization to start with their advertisement. 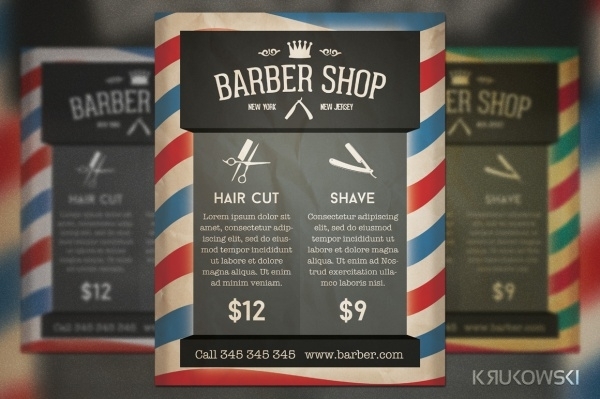 And that is because of the actual importance of such a design format. 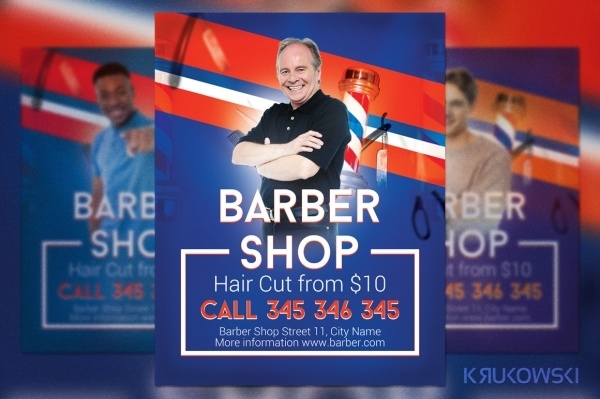 And it is not just the physical flyer that counts. 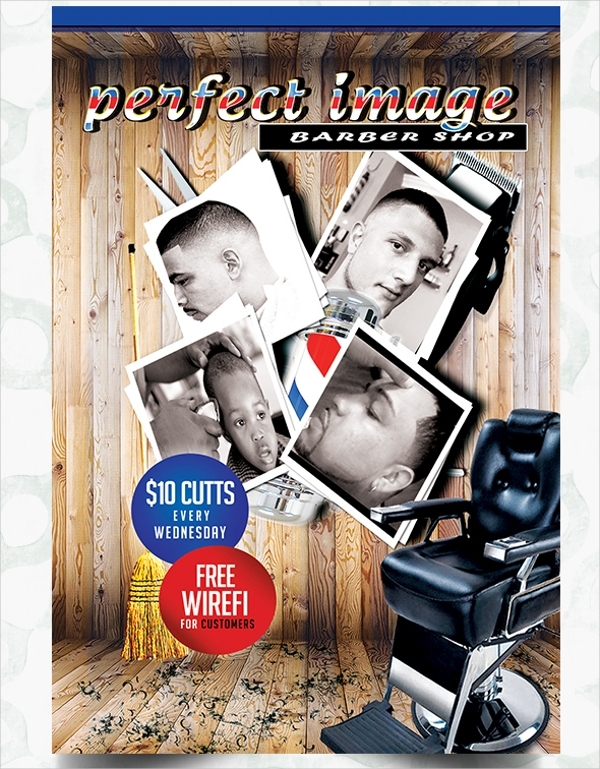 In the digital world, the same flyer design can be put up online, and can be viewed by people around the globe. 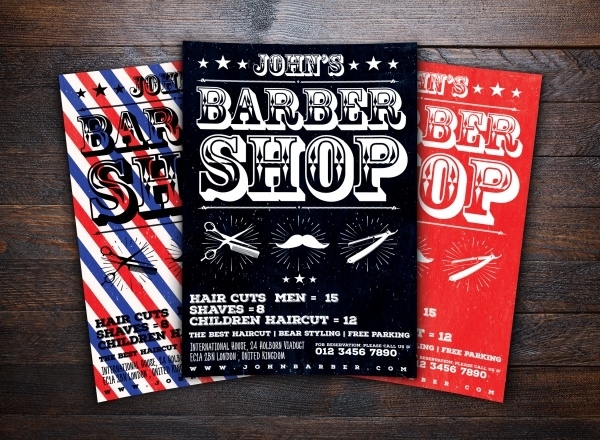 You can also see Insurance Flyers. 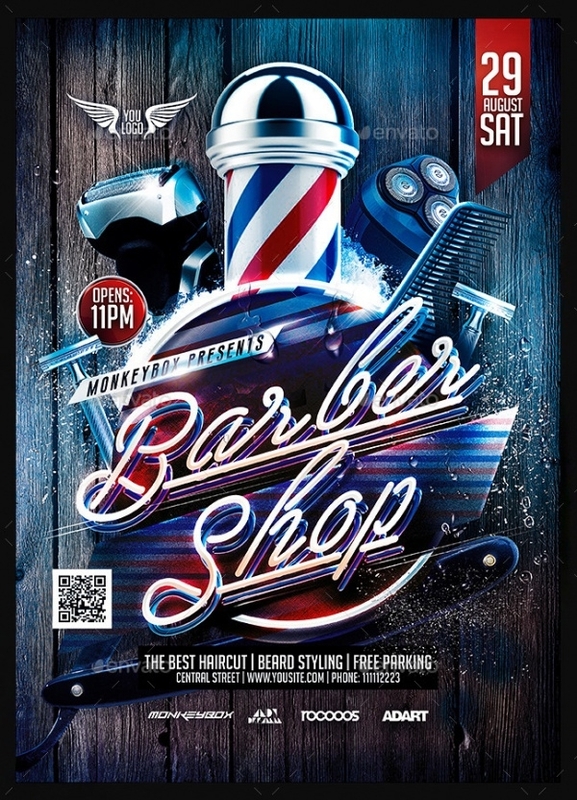 But the theme we are covering here doesn’t involve people from other continents, but only some of the people from the locality or the city, as here are various creative and professional design templates that you can use to create equally professional flyers for your local barber, or even for some world famous hairdresser who you have found as a client for yourself. 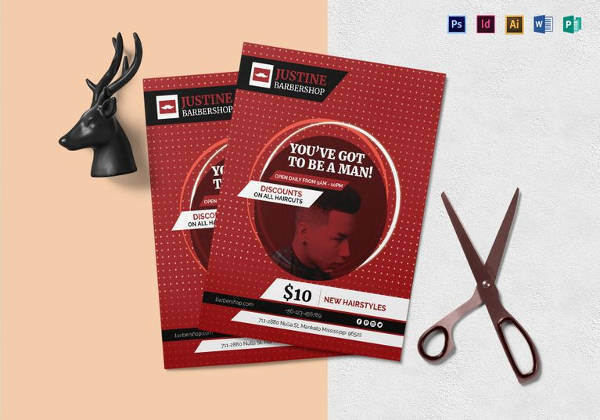 Just scroll through the following pages and you won’t be disappointed after having gone through these downloadable templates. 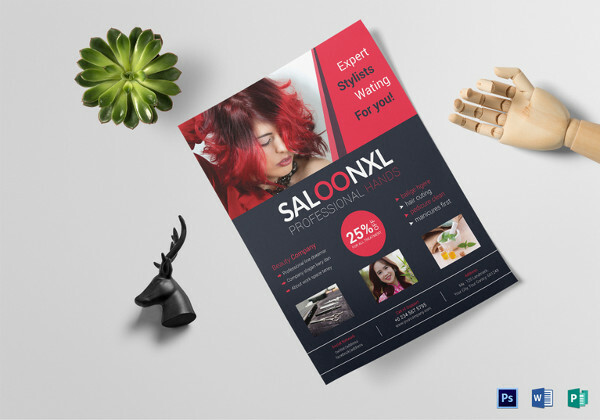 You can also see Salon Flyers. 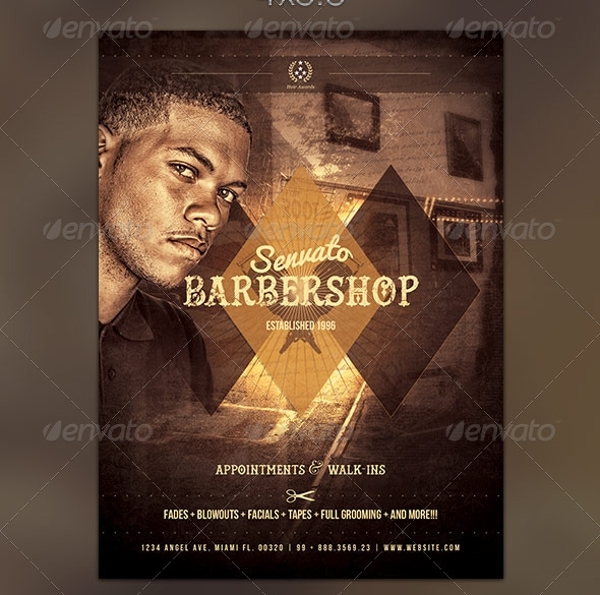 Here is another template that is available for free from the given link. 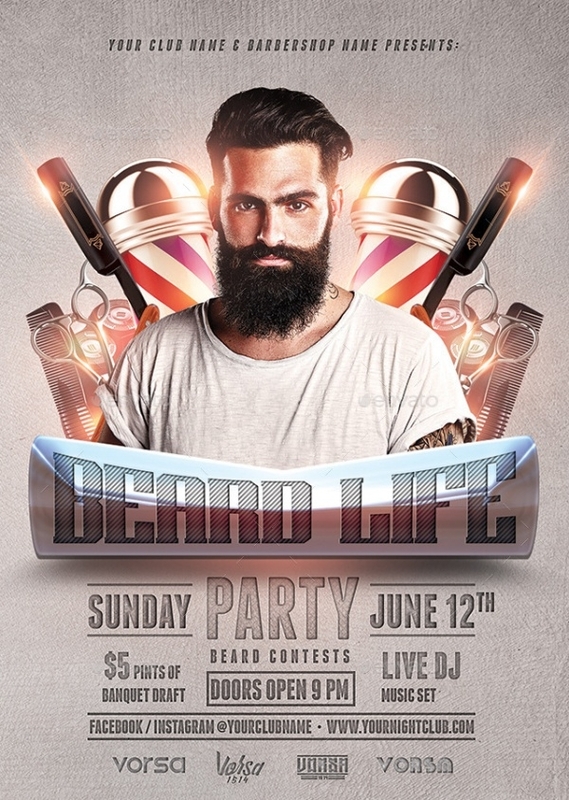 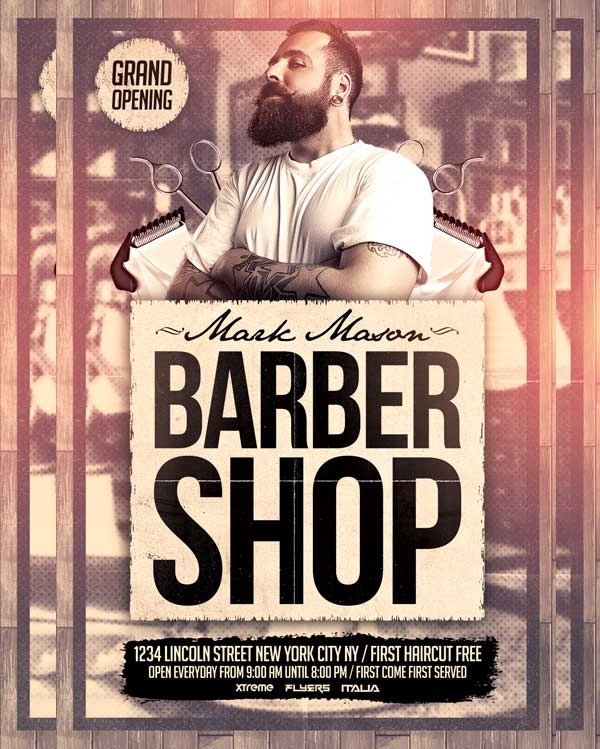 This flyer is similar to the first one with an image of the person in a great hairstyle and looking dapper. 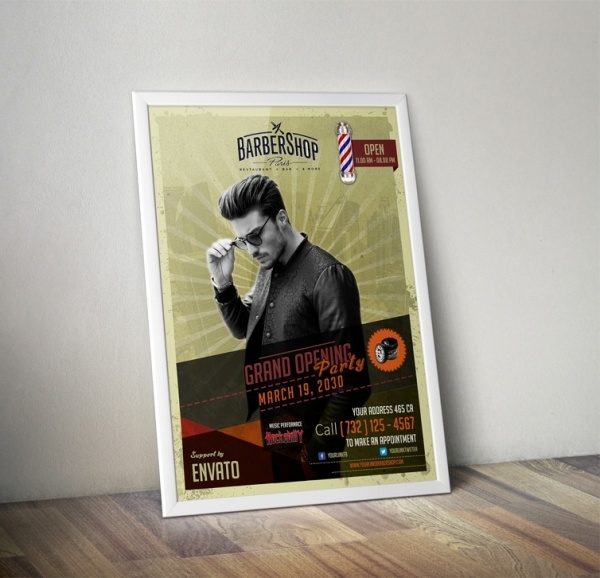 The feel to it has also been kept to show a vintage design and promotes the grand opening party. 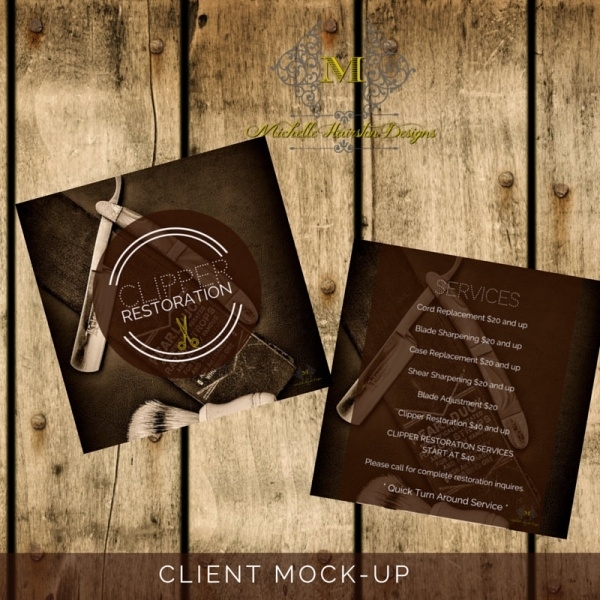 The design can be downloaded and edited using Photoshop. 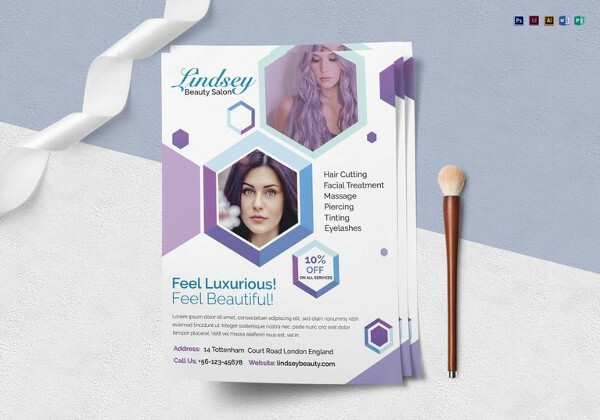 Here is a flyer template that will show you how to work with minimal design elements and still be able to create flawless designs. 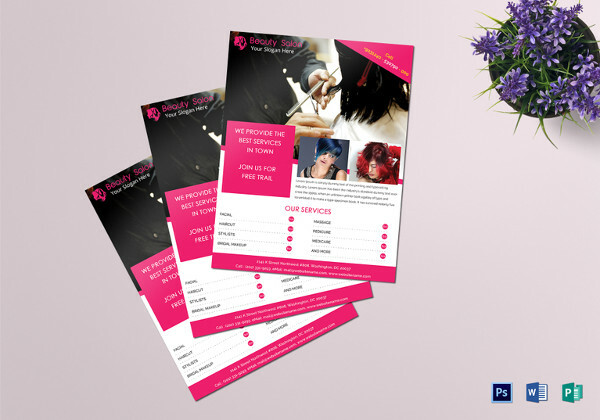 This premium template is a downloadable PSD design available in both A4 and US letter sizes with print ready CMYK colors. 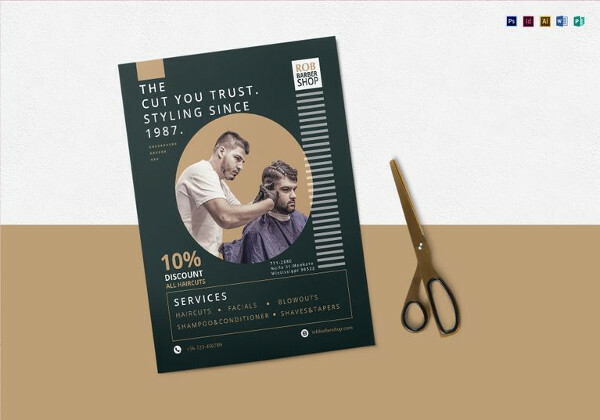 Check out this another premium template for your barbershop flyer that is again set in A4 and US letter sizes and CMYK colors with a resolution of 300 dpi. 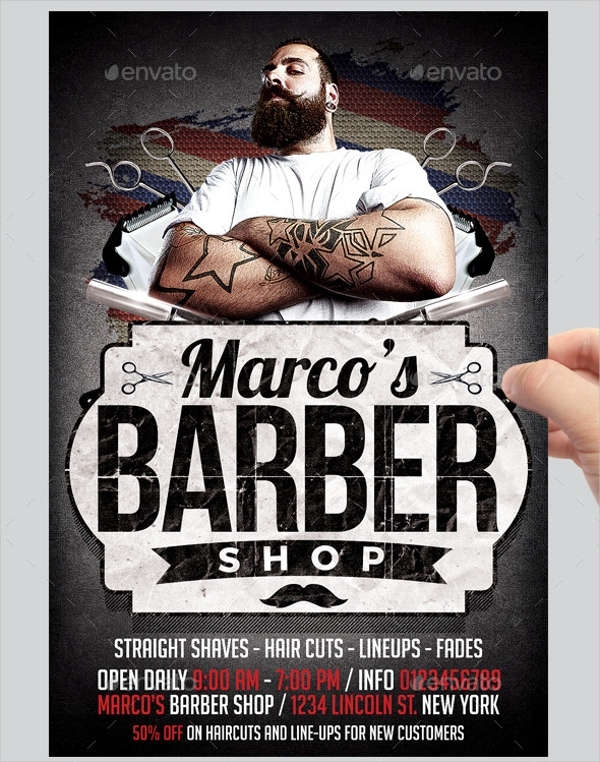 The design is completely organized and lets you edit the contents using smart objects. 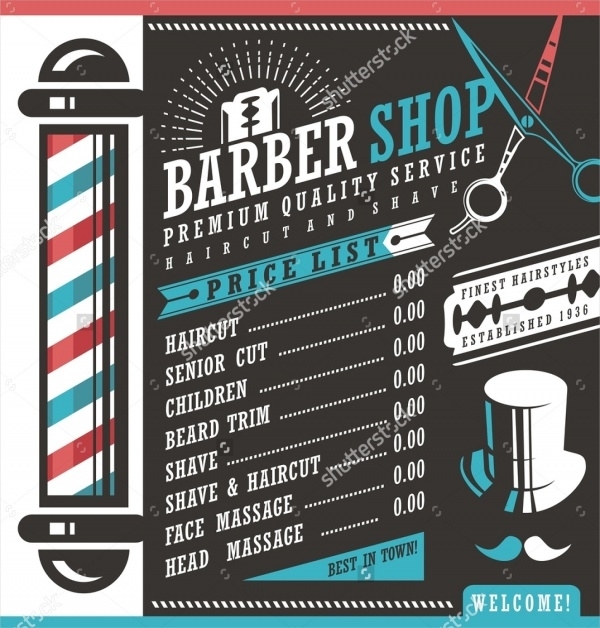 This is a cool design wherein you can put in a file size of the image of the barber as well, holding his equipment and weapons of fancy hairstyling. 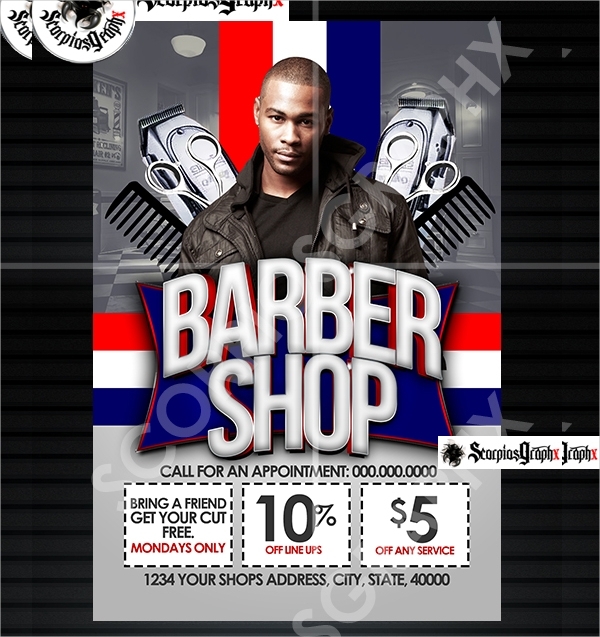 This PSD design will give the flyer a natural essence with the image and use it for commercial purposes. 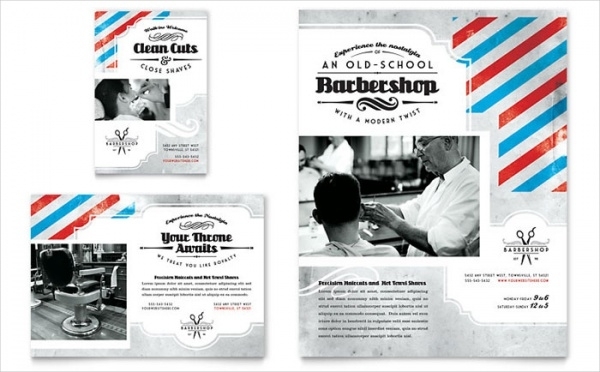 Here is another set of flyer templates for your barbershop that has been made along the retro theme. 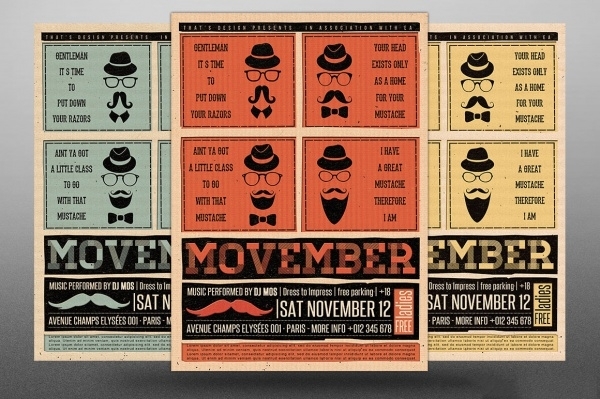 The design comes in two different sizes in a total option of 6 different colors for you to play with. 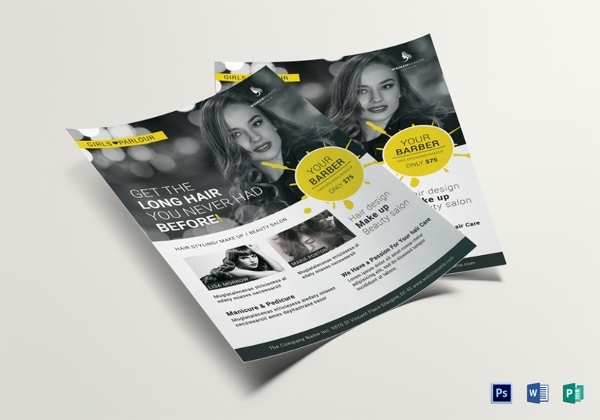 Advertise and promote different aspects of your modern 21st-century hairstyling techniques using this equally elegant flyer design that is available in two PSD files. 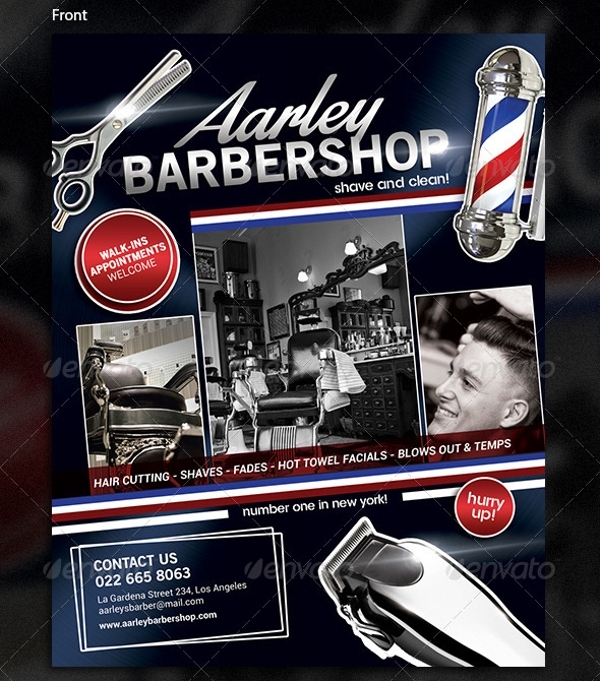 Now you don’t have to worry about spending loads on designing a flyer for your new hairdressing and barbershop. 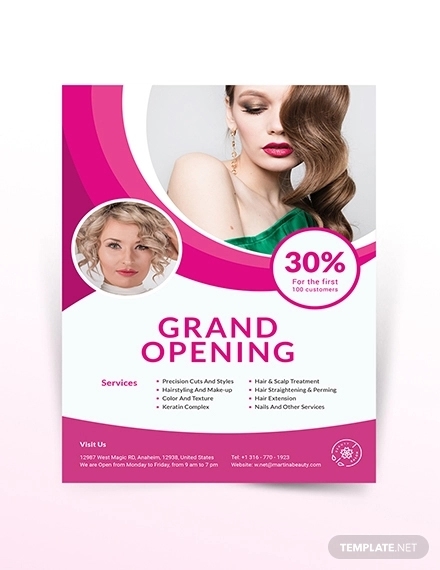 In just a few minutes of work, you can create designs to promote the grand opening to every day offers with your designs. 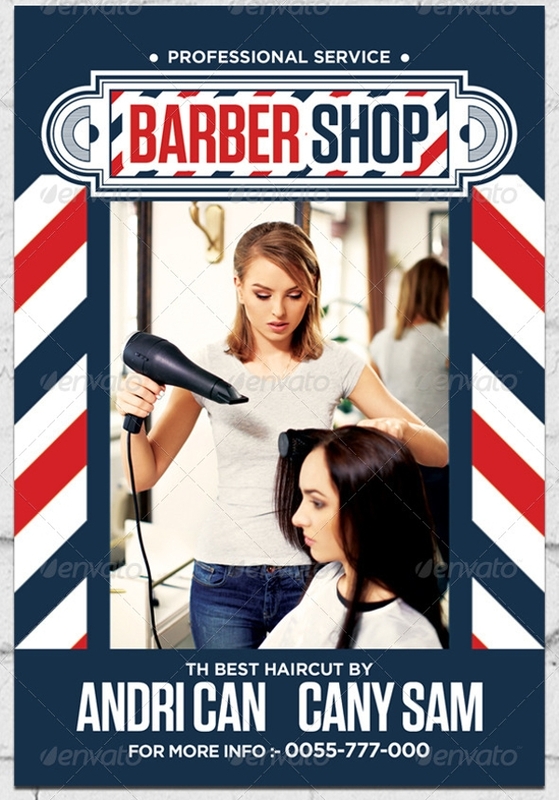 And in case you are designing the flyer for one of your clients, you can always work out a deal for free haircuts and such, apart from the usual payment you receive.